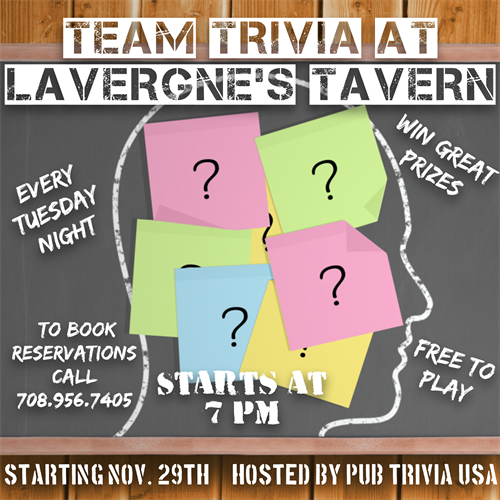 Team Trivia Every Tuesday at Lavergne's Tavern! 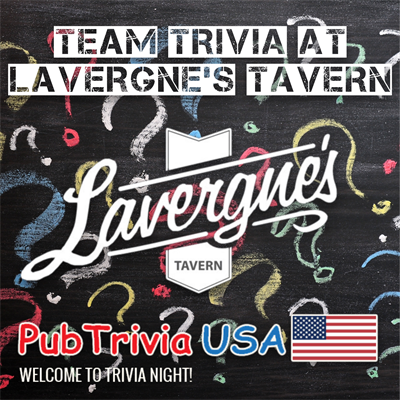 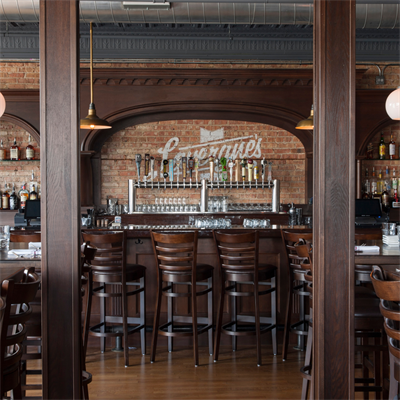 Join us for Team Trivia every Tuesday at 7 PM at Lavergne's Tavern, hosted by Pub Trivia USA! 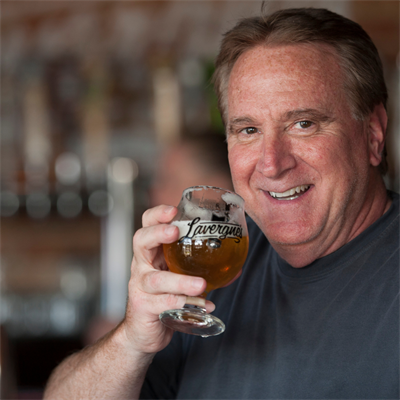 Free to play, great prizes, and a great time! 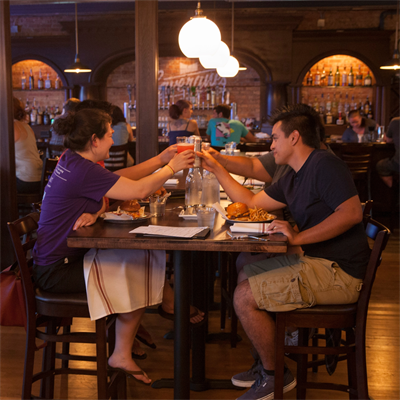 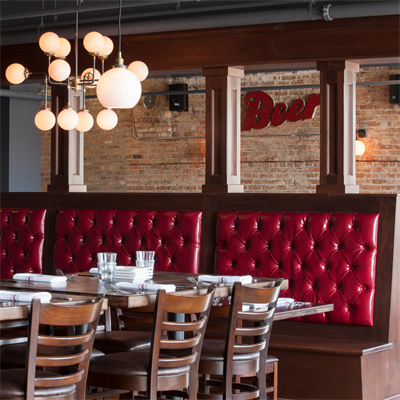 Reservations for teams are recommended, as we fill up quickly! 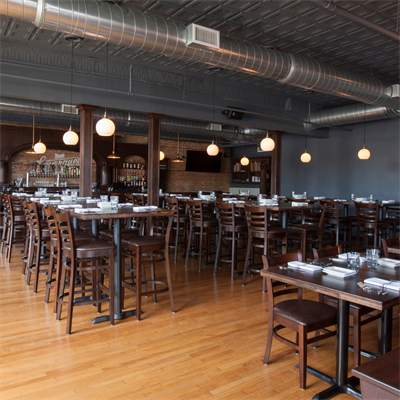 Call us at 708.956.7405 for your spot! 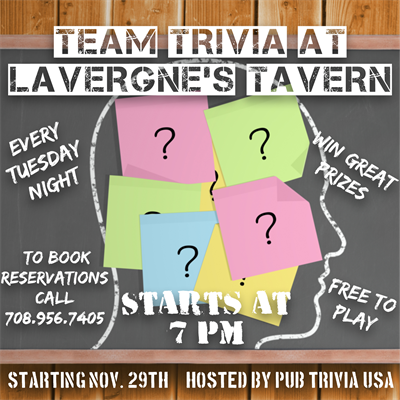 Trivia starts weekly beginning on Tuesday, November 29th. 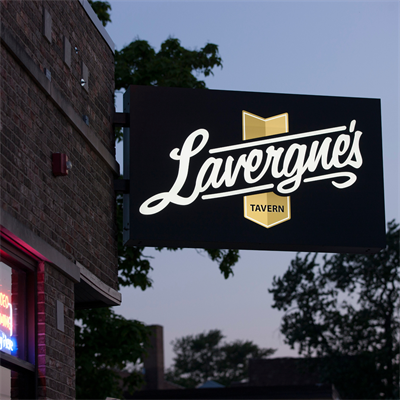 Every Tuesday, 7-9 PM, starting November 29th.